Aldon Smith will be out for the first nine games of the year, and NaVorro Bowman's injury will cause him to miss the beginning of the season as well, and isn't expected to be 100% until the home stretch. While it seems like a red flag for a defense to miss two elite players for most of the year, but the Niners will remain one of the best teams in the league this year. The defense should still be one of the best in the league without those two key players, because the front seven should still be great. Offenses will not be able to contend with Ray McDonald, Justin Smith, Ahmad Brooks, and Patrick Willis up front. And behind them, the secondary is okay, led by Eric Reid and Tramaine Brock. The biggest difference between the 2014 49ers and the 2013 49ers is the offense. The offense improved greatly this offseason by acquiring Stevie Johnson to be the third receiver, and the prospect of a full season of Michael Crabtree. Colin Kaepernick had a down year statistically, but that's because the Niners ran the third most rushing plays in the league, and because Crabtree only played in 5 games. We've seen now great Kaepernick has been when he has legitimate help around him, and this season will be the first time that he'll have a full 16 games with weapons around him. The Niners will be great offensively, and even better on defense when Bowman and Smith return to the lineup towards the end of the year, only improving one of the league's powerhouses. Last year the Cards were the best team to miss the playoffs, but they lost three massive pieces on defense in Karlos Dansby via free agency, Daryl Washington due to a suspension, and Darnell Dockett to an injury, and are relying on John Abraham, who is something like 87 years old, to be their only pass rusher. I liked their defense going into 2013, but without bothering to replace Dansby or Washington, the Cardinals will have to rely on Larry Foote to start at linebacker. And now, fifth round pick Ed Stinson will see a lot of playing time without Dockett. They tried to improve the offensive line, but I don't think they did enough. I liked the Jared Veldheer signing, because he's a very solid tackle to protect Carson Palmer's blindside. Jonathan Cooper missed his entire rookie season due to injury, so he's effectively a rookie this year, and it's always hard to trust linemen in their first season. The biggest issue is guard Paul Fanaika, who is pretty bad. The offense will be pretty average again, even though I expect Andre Ellington to have a big season as the feature back. 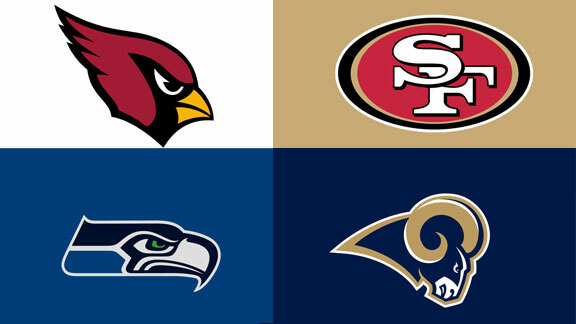 Playing in the NFC West is going to really hurt the Cardinals this year. In another division, I would probably have them as a .500 team. The Rams were a bit lucky to win 7 games last year with Kellen Clemens starting 9 games, and a generally below average roster. With the NFC improving as a whole, and Sam Bradford out for the year, the Rams will be worse. I'm not a Sam Bradford fan, but he's better than Shaun Hill. And for that reason, it's going to be very tough for this team to score. I really like Zac Stacy, but the passing game is going to be brutal. The only hope is that Tavon Austin becomes a monstrous big play receiver. Outside of Robert Quinn and Chris Long, both of whom are awesome, the defense is nothing special. Aaron Donald is expected to be a great pass rusher as well, so that should mask the deficiencies of the secondary somewhat. The Rams are in for a tough season. They're good enough that very re-tooling through the draft, they should be ready to contend in 2015. Percy Harvin will have 1,300 yards from scrimmage. I would increase the number greatly if I knew Harvin were to play 16 games, but I can't expect that to happen. Colin Kaepernick will have 4,800 total yards, passing and rushing. 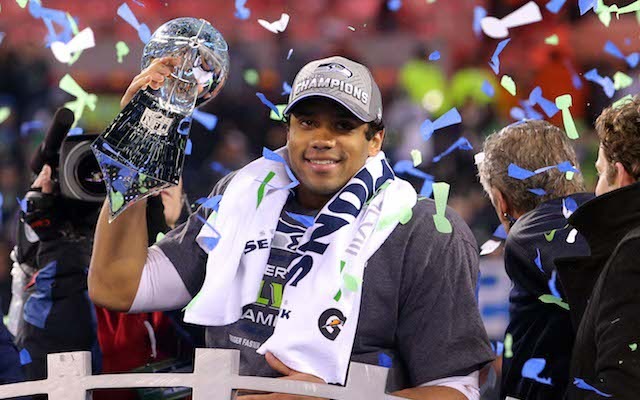 I'm recycling my prediction from last year because he will have to have a big year in order for the Niners to go far. Logan Thomas will start at least 3 games this season. The fourth round pick is very raw, but I think there's a good chance that Carson Palmer falls apart and Thomas will step in. Zac Stacy will rush for 1,400 yards. He has to, because the passing offense will be terrible.